Well, on reddit (https://www.reddit.com/r/spikes/comment ... dinosaurs/) they said, Golgari would be the worst matchup. The plan is too be strong against the aggro-meta without being too weak vs Control. 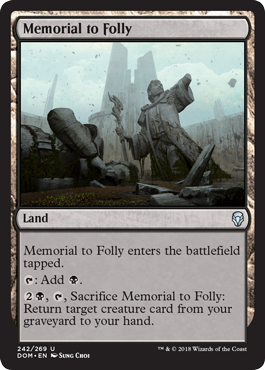 Of course, if Arena evolves slower due to people sticking to their Golgari decks (We'd do the same if we were invested. ), that might not help. I didn't play much over the weekend but yesterday evening I had maybe 2 Golgari opponents and ~6 aggros. Forgot to track for I "only" wanted to get a few wins in to not waste daily gold. I don't think Lyra is a major factor to be concerned of. I've read that Kraul Harpooner can kill her through his ETB fighting - which is questionable due to her First Strike. So, is that true? And if so, is that a special fighting rule that also applies to Savage Stomp and it's brethren? Somehow the name of the 1 mana evergreen card eludes me right now. First strike only applies in combat, not with the fight mechanic. So yes, lyra dies to the harpooner. Thank you. So Prey Upon (there it is ) can also kill her. Good to know. Can't tell if it's just me but I'm playing against significantly more Dimir/Grixis control than expected. In fact it, together with Selesyna tokens, seems to take up roughly as much a metagame share as the "big decks" (Drakes Jeskai Golgari Boros monored). Among these big five, Boros is noticeably the least common, but it's there and a fast draw from that deck is still very dangerous. I have mixed feelings about Dimir/Grixis control. It seems quite strong against all the other major decks in the metagame - certainly I don't consider it a good matchup for Selesyna, and Ritual of Soot & Golden Demise should be devastating against Boros as well. Does anyone play Dimir/Grixis control, and if so, what are the bad matchups? 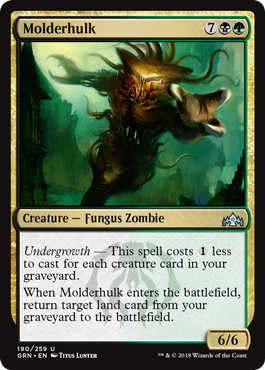 Monored I guess since they can't answer Experimental Frenzy (another reason to have Unmoored Ego I guess), anything with Carnage Tyrant, and what else? Don't you see that - when you kill a Frenzy - your opponent doesn't put the card into his GY but on top of his library? Regarding the meta, if your conclusions are based on weekend observations, I would discard those. There was a lot of uncommon jank in my matches over the weekend. If Dimir and Grixis become relevant, you might want those Nullhide Feroxes back as "discard-fodder" as per the discussion in your sideboard-thread. These rogue decks make me appreciate The Immortal Sun more. Cards like Karn and Vivien are better against control, but they're quite narrow; meanwhile TIS is sideboard-able against all the rogue decks. Also, note to self: these decks don't seem to run sweepers post-board. Stay small, don't board in the anti-control anti-sweeper package, and overrun them with the mainboard tokens! I have played against it too. Good luck dealing with that. I shifted gears, trying out a sideboard without Ferox and with Lyras & Karns instead. Only played two matches so far. Lyra is devastating against aggro decks if they can't remove it, but is bad against Golgari and control. Hopefully Karn will pick up some slack against control though, and I have a TIS for Golgari now too. Dimir & Grixis matchups definitely get worse, though. Also does anyone else hate BO1? Especially against control decks. I might have tons of sideboard hate, but can't even deploy them, and meanwhile I have to sit there looking at my dead cards while they torture me. Argh, hate these decks. I seem to be queuing into only control decks and Drakes ... like, Esper control, UW control, Dimir control, all sorts of control, and Drakes. What's going on? Just out of curiosity, what rank are you at? What deck are you playing or is it various decks? I think I'm bronze (according to free play) but I'm referring to the meta in competitive constructed. Playing Selesnya tokens. If I keep queuing into these two tough matchups, it's probably time to switch decks too. People play way more control in Bo3 because they are much more able to improve matchups post-sideboard. You think so? I was under the impression that control is great in game 1 because opponent's deck will have dead cards like Lava Coil, and then post-board when opponents bring in Duress and Negate and planeswalkers and Carnage Tyrant, then things start getting harder. In the deck tech at the pro tour, Ari Lax mentioned that Selesnya tokens's worst matchups are against decks that play Steam Vents. I'm up to 8 consecutive games against decks that play Steam Vents in competitive constructed now ... 5 control decks of various shades, 2 drakes (one of which was more Izzet control than drakes too), 1 weird 4-color deck with Ralf Capashen. Go figure. I feel ya Banedon, i only play bo1 because i can't build a meaningful sb with my card pool right now. I only had one deace deck, Gruel Dinos are just fun to me but not really spike. I think i was close to 50/50 W/L but near all of my loses were against control or controlish mid range golgari. After losing match after match to control decks i had enough and built a RDW deck i designed using my common wilds to go under control. It's a sad RDW deck as i have no Goblin Chainwhirler only 1 Runaway Steam-Kin and until last night no Rekindling Phoenix (I finally unlocked all of the starter decks and found one in the rakdos starter) but hot damn if i beat the ever living day lights out of most control decks i meet with it. The deck is nearly all haste creatures and burn except for 2 demanding dragons at the top of the curve. RDW mirrors are tuff for me to win as they tend to have better cards when most of my cards are commons or they drop a Goblin Chainwhirler on my mostly 1 toughness board plus they probably have more chances at drawing a Experimental Frenzy while i only have 1. Golgari match is still tough but if they are controlish i think i am favored so long as i catch wildgrowth walker at 3 or 4 toughness. Boros aggro can do a number on me if they go too wide or drop Aurelia, Exemplar of Justice on curve. The real kryptonite to this anti control RDW is white weenie that nearly always slams a history of benalia turn 3 or run the red hate horse and every life gain dude that exists. For the first time i won against a guy that dropped Teferi, Hero of Dominaria then exiled my board with a settle. Demanding Dragon did the honors for me. Those control match wins always feel nice and i swear i can feel the hate seething through as i never get a gg from control players while i burn them out ftw. So what´s the final tier list for this season? Putting up a tier list for this meta is really tough; it's a very diverse meta and there are tons of viable options/deck depending on what you're facing and what your preferred playstyle is. Could see Izzet Drakes still being tier 1 TBH. Might also have forgotten a deck or two. I do think that Selesnya tokens is rather underrated for its metagame share, especially since its tournament results are pretty good, but it's clear that the top players have played the deck and dismissed it. The fact it's disfavored in game 1 against two of the three tier 1 decks is a definite drawback. White aggro caught the pro tour by surprise but since then everyone has gotten ready to beat it, so it's dropped.